P.S. Quick note - the Police HQ is holding its grand opening this weekend! The Research Triangle Foundation is moving forward with the core of its larger "Park Center" redevelopment in this "Town Center" project (the naming of these designations gets a little confusing. Everything seems to be the "center"). The idea is to make a little downtown area that has basics like shops, restaurants and grocery. This will lay the groundwork for later phases where they plan to add residential, more office space, and likely even more retail to the area. It will be interesting to see how this works out. With the trends of businesses wanting more and more to be located in downtowns, you would think that this is an uphill battle. But that doesn't mean that EVERY business wants to be located downtown. 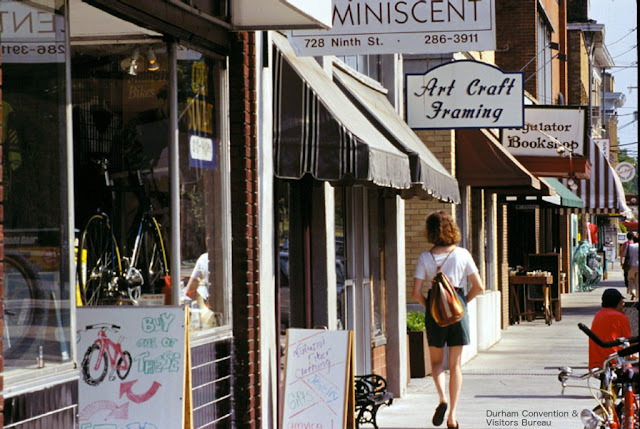 Can RTP carve out a niche and attract new businesses, residents, and retail? I will be keeping up with this story. Interesting. 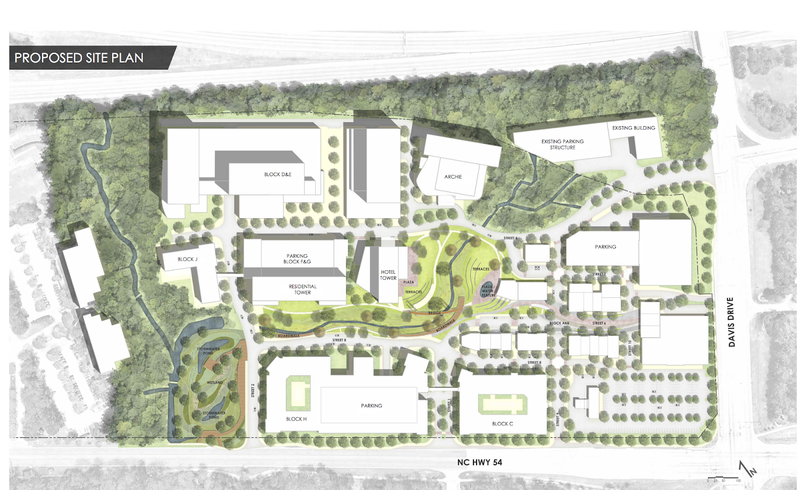 I'm not surprised to see development between downtown and RTP. Honestly, I'm more surprised that it's taken as long as it has to see something sprouting up off of 147. It's mostly barren between DT and 40, or at least it 's felt that way as I drive by each morning, but maybe there's something hidden behind all those trees?